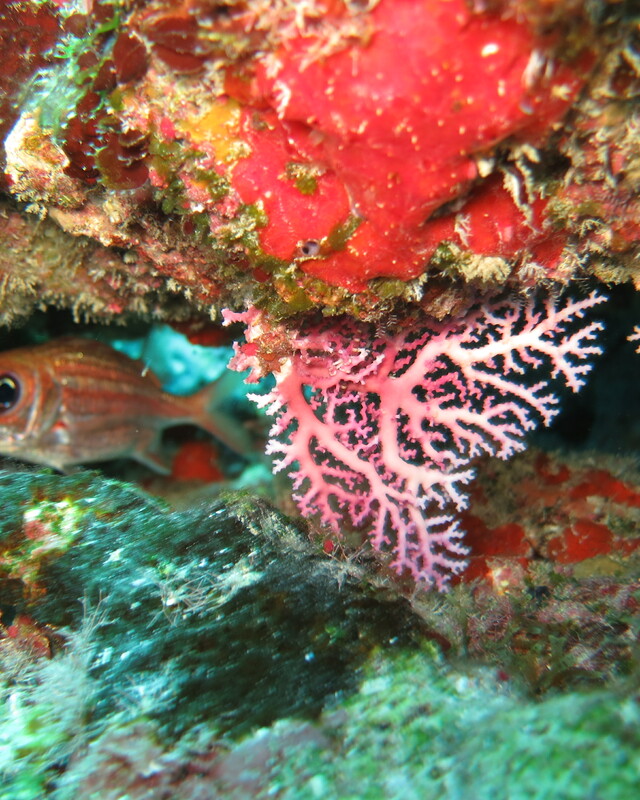 Assessing the coral reefs in the central eastern Bahamas by Shelley Cant-Woodside. 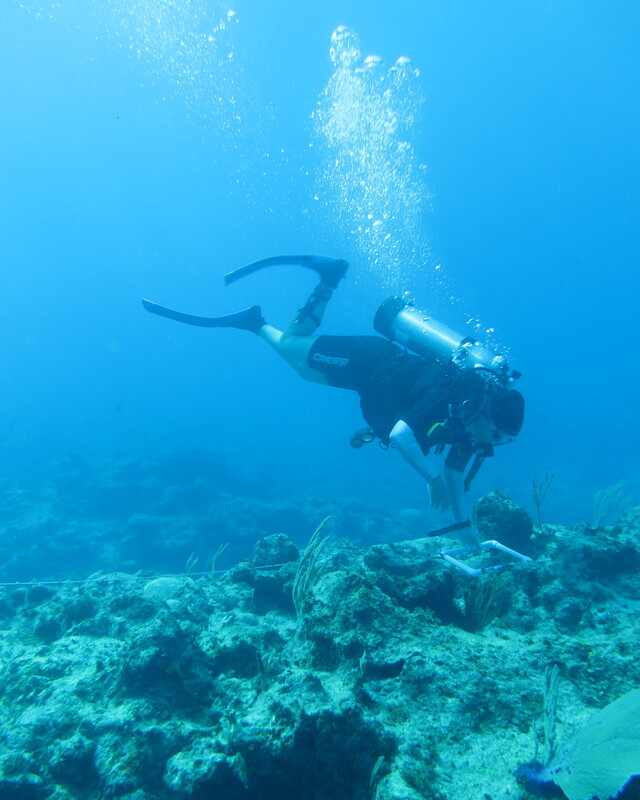 The BNT science team, Shelley Cant-Woodside, Lindy Knowles and Agnessa Lundy joined a dynamic team of scientists to conduct coral reef assessments across the central eastern islands of The Bahamas. The expedition led by Dr. Craig Dahlgren from the Perry Institute for Marine Science (PIMS) along with Sandy Voegali (San Salvador Living Jewels Foundation), Mallory Raphael (Bahamas Reef Environment Educational Foundation) and Anna (Cape Eleuthera Institute) with the BNT science team, set off for Cat Island on the 29th of September aboard the research vessel R/V Angari. 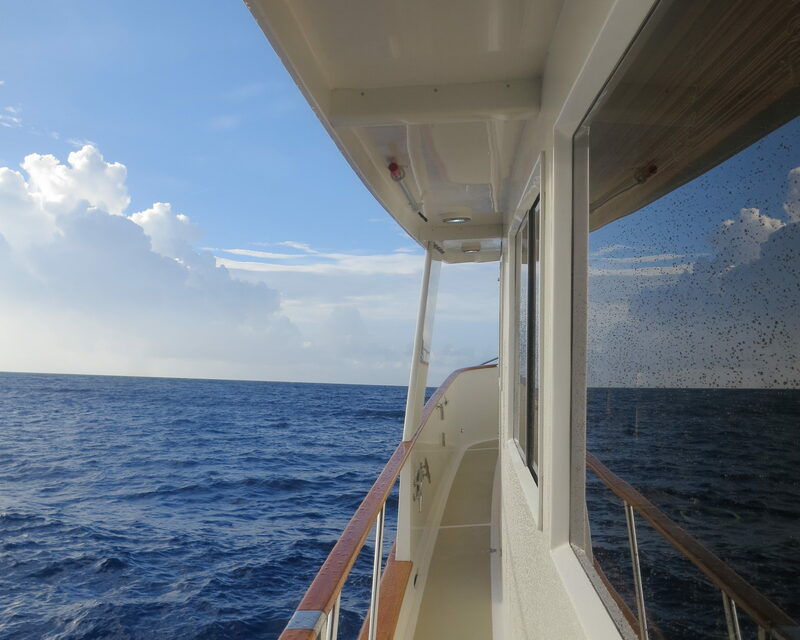 The purpose of the trip was to gather much needed information that will aid in the selection of new marine areas to be included in the The Bahamas conservation and environmental protection goals, assisting the country in reaching its commitment to protect 20% of its near shore marine environment by the year 2020. 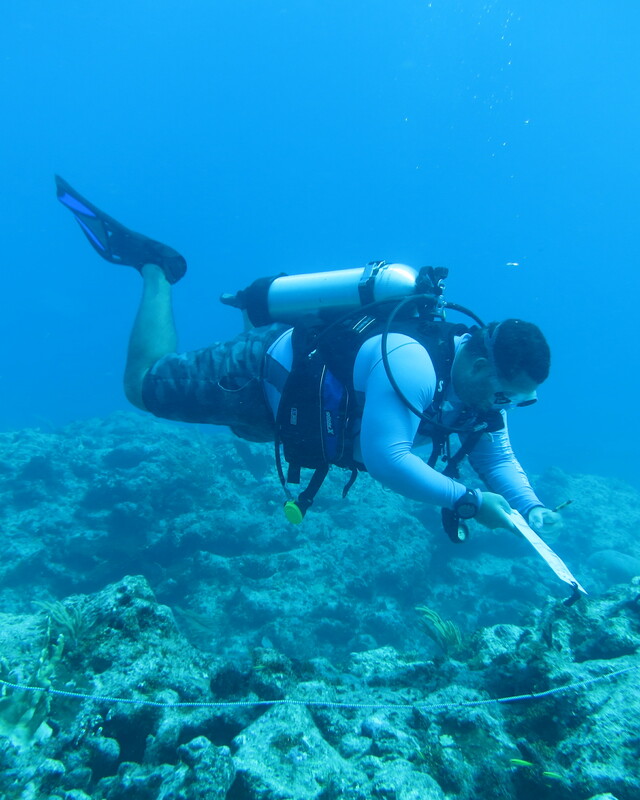 The team is using a surveying method known as the Atlantic and Gulf Rapid Reef Assessment (AGRRA), documenting what is actually growing on the bottom, coral size, diversity and health of the reef, along with fish diversity and abundance. 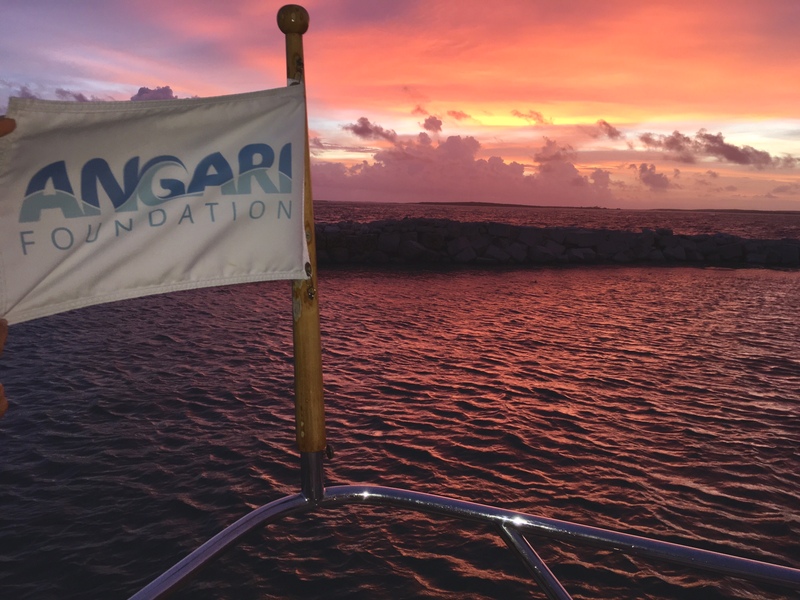 The team began the trip off of the north end of Cat Island and dove at various sights on the eastern side of the island as the Angari moved southward. Although Cat Island had great reef structure, much of it sadly was covered in algae, and had probably suffered a massive coral mortality due to bleaching in the recent past. 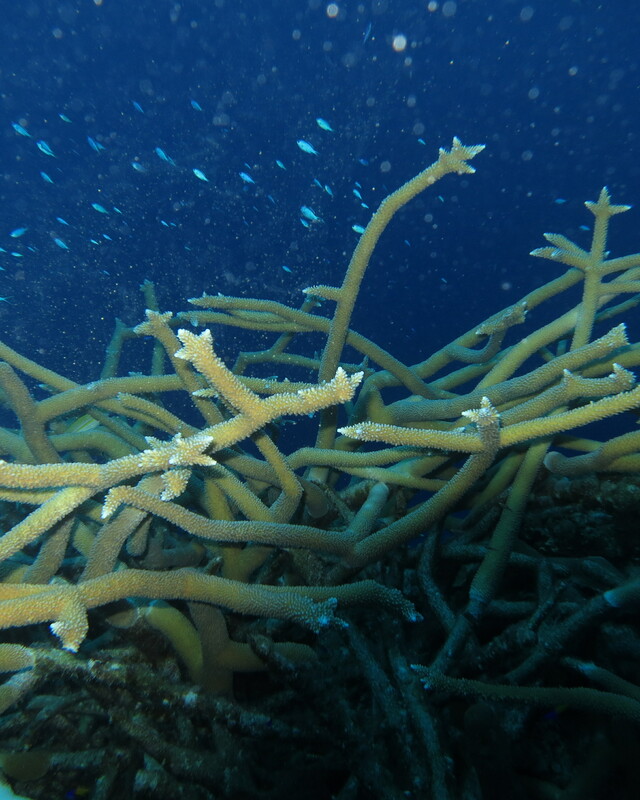 However, the southern end of Cat Island has an area that was documented as being an area where cold water from the bottom is forced up over the wall where the corals are naturally protected from the scorching waters during the summer months. This area certainly had some great coral cover as a result. After three days of diving off of Cat Island the team headed to the Conception Island National Park. 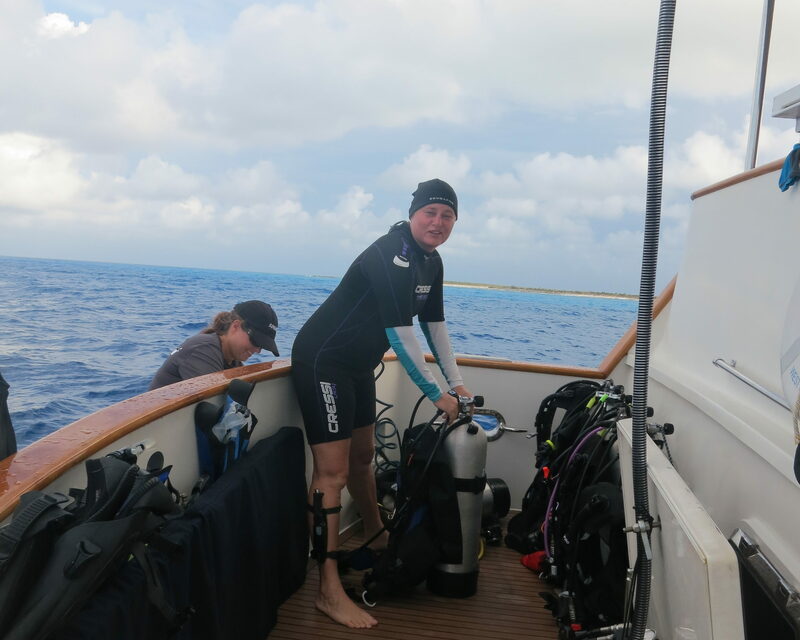 Diving the edge of the wall off of Conception Island for one full day, the team was greeted by bottle-nosed dolphins and saw some of the most spectacular coral diversity and percentage cover yet for the trip. Although Conception Island bank is already under a protected area, this data will help the BNT to monitor the health of these reefs over time. The team then travelled to Rum Cay where they intended to be the first to collect data in this area. 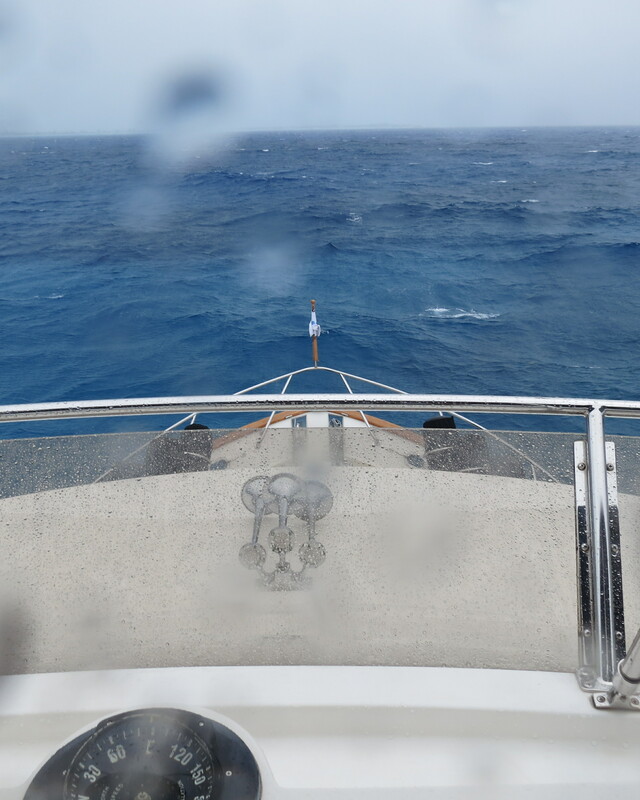 Unfortunately, no data could be collected as the weather turned for the worst and the team was forced to remain on the boat for the day. We will need to come back to Rum Cay but on another trip. The next day the team headed to Long Island and took refuge in the Flying Fish Marina in Clarence Town. 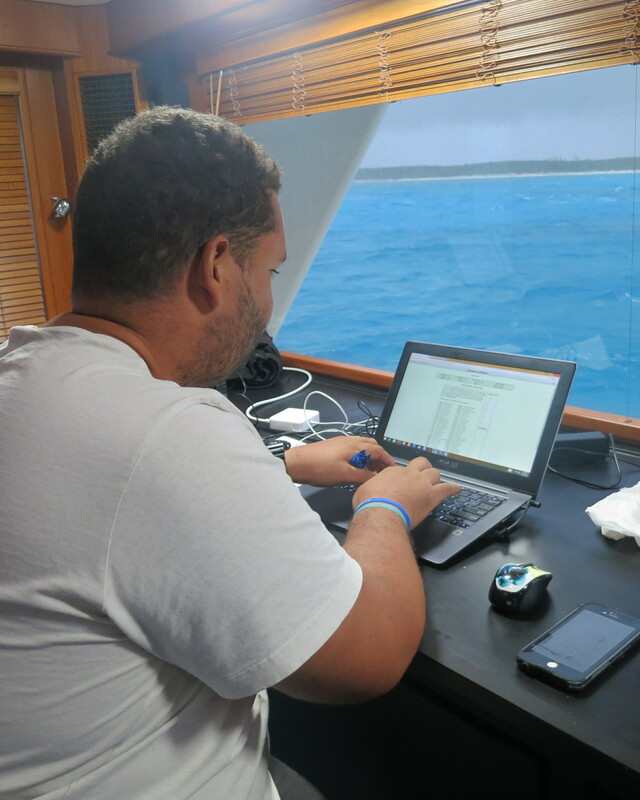 As the weather was still too rough for diving and the anchor ended up needing repairs, the team took advantage of the downtime and spent most of the time in port entering the data into the AGRRA online data entry portal. The next stop on the trip, once the weather had cleared, was Long Island..